I've been making quite a dent in my sock yarn stash. So I really needed to fill that dent back in. And Mother's Day was the perfect time for some stash enhancement ;) The group on the left came from KnitPicks, the group on the right from Little Knits, and the sweet scissors in front from Anita's Little Stitches. Thanks for stopping by my neck of the woods and for your continued sweet comments :) Here's to getting back on the blog-wagon! A wealth of beauty AND information here for this sock addict! Love those basic socks; I make notes of your cast-on count and needle size so I can break away from my 60 cast on #3s. I start with #3 then switch to #2 as I tend to be a bit "tight" with the ribbing. Next time I think I will try #2 to #1 since your Amethyst Deborah Norville's came out totally different then mine did. I certainly like the effect you got much better. Have bought from Knit Picks, but never from Little Knits. I'll have to check them out. Just cast on for pair #20!! You always knit the most wonderful socks! I love your pictures too Staci. WOW they are all so beautiful. They are the prettiest socks I have ever seen. thrilled with these I'm sure. and keep peace in the house?? new stash for Mother's Day. I just love your socks! I LOVE my socks, warm and toasty and the most wonderful colourway!! Sally's socks are so sweet too!! You don't seriously call them 'plain', do you!!??? Tss! They're gorgeous, woman!! Those socks are just fab! Love the red and purple ones. Seriously, I just know that Harmien is in love with those yummy socks. You rule! Great socks! And so many of them! In the time you've done those, I've only added a few rows to one sock. Looks like you'll be knitting a some more to the pile with your pretty new yarn additions. I bow to your productivity. Amazing! I LOVE my socks! They are anything but plain vanilla. ;) And I doubt you actually knew this, but my new grandbaby's birthstone is AMETHYST!!!! So, so cool. (So is my daughter's BTW!). I treasure my socks and will love every minute they hug my feet. Thank you so very, very much. You have a most generous spirit that is inspirational. Wow, so many socks! I love them and the colors are great. So glad you only have one more week - congrats! It's a wonderful feeling to be done! Wow, I can't believe all those socks! How great they all look! Love your stash enhancement too. Wonderful socks! You have been busy with those! Wow you have been busy! They all look so cosy and warm! I will have to check out LittleKnits. Wow! You have been productive look at all of those fantastic socks! Oh my, you have been busy! What wonderful socks you have there and a great stash of yarn with the promise of more socks to come. Just love all your socks. You are amazing and so fast. I love those Brewster socks. I love sock pictures. they are so pretty and colorful. I don't knit but I appreciate the look of them and the time it takes to make and can imagine the feel of them. Nice pretty work. Congrats. I love a vanilla sock. There is always something about them that I find comforting. I love pictures of socks all lined up like you've featured here! Niiice! OMG!! You have been knitting some really nice socks. Very nice work. 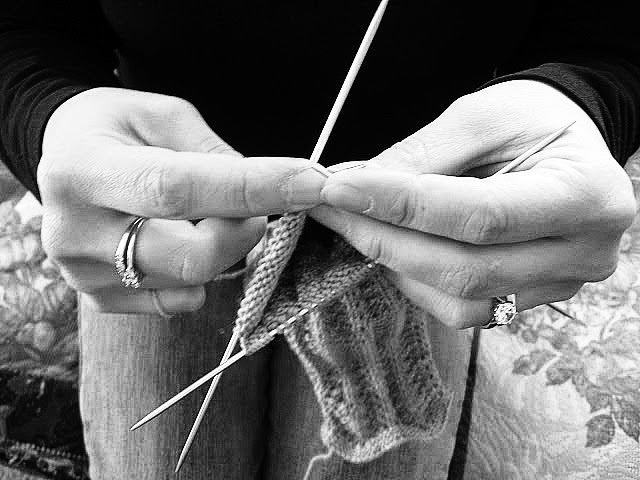 I love to knit as well, but have never knitted a sock. You make some of the most awesome socks and dish clothes and I am impressed. I love looking at all the colors and shapes of your socks. I love the bright colors of you dish clothes, also. Great job and your stitching is very nice, too. Total envy over the sock knitting! Socks are the one reason I'm trying to knit, but it just isn't working ~ yet! You've been very busy with all those socks :) Love all the colors pictured together! Total sock jealousy. It is a beauty. Your sock production is becoming legend, lol. They are just wonderful. Wow, your socks are fabulous! I do love socks so much, I really should try to find a pattern for some plain ones and give it a go! Wow! What a production line you have going on there. A very lovely sock display indeed.